Carlos Ghosn, the man who helms the world’s largest car company, the Renault-Nissan-Mitsubishi Alliance, says customers who buy electric vehicles are far less concerned about range anxiety than they used to be, and that EVs that travel roughly 200 miles on a single charge is more than enough. The exec oversaw the development of the Nissan Leaf, the company’s first mass-market EV that went on to become the best-selling electric vehicle in the world. The second generation of the Leaf is just now hitting the streets in the US with a range of 151 miles. A longer-range version that gets 225 miles of range is expected in 2019. Carlos Ghosn, the man who leads the world’s largest car company, says people no longer care about range anxiety with electric cars, they just need to be less expensive. Ghosn made the comments during a news conference in Hong Kong this week, where he also argued that autonomous-driving technology isn’t a priority for consumers either. “We have seen that consumers do not talk anymore about range or autonomy as long as you guarantee more than 300 kilometers (about 186 miles),” Ghosn told reporters, according to the Nikkei Asian Review. 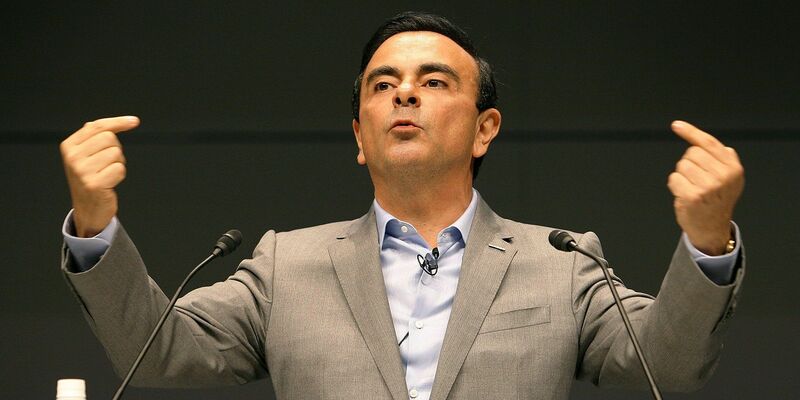 Ghosn helms the Renault-Nissan-Mitsubishi Alliance, which is the parent company of Nissan, the French automaker Renault and Mitsubishi. While he was CEO of Nissan from 2001 to 2017, Ghosn oversaw the development of the Nissan Leaf, the company’s first mass-market electric car. Ghosn’s remarks come as Tesla struggles to produce its own mass-market EV, the Model 3 — a car that starts at $35,000 with a minimum range of 220 miles on a single charge. However, due to Tesla’s rollout schedule and some well-documented production challenges, Tesla is only producing the longer-range (310 miles), more-expensive version of the Model 3, which can top out at nearly $60,000. While Ghosn is less concerned with delivering a tech-heavy EV, the new Leaf does offer some industry standard features like intelligent cruise control and a so-called “e-Pedal,” which effectively lets driver accelerate and stop the car using just one pedal. Tesla CEO Elon Musk has touted his company’s Autopilot technology which operates much the same way, with some additional functionality. That the Leaf is the world’s best-selling electric vehicle, in a market where EVs barely make up about 1% of global auto sales, says quite a lot, especially as Tesla struggles to meet its own goal of producing 5,000 Model 3s per week by the end of June. During his talk with reporters this week, Ghosn took a moment to flex a little, explaining how he came to learn what he knows about selling electric cars, and it could be read as a subtle jab at Tesla: “You could not have guessed this through studies,” Ghosn said, “You had to have 500,000 [electric] cars on the ground to understand,” he said.